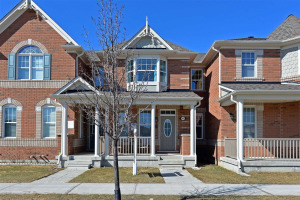 Fabulous Freehold Townhouse In The Prestigious "Cornell" Neighbourhood Of Markham. 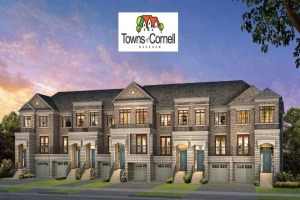 The Douglas Model Features 1,480 Sq. Ft. Of Quality Workmanship. Decorative Columns In The Liv/Din Area. Convenient Mud Room & Laundry At Rear Entrance. Oval Tub & Separate Shower In Master Ensuite. Hardwood On Main Floor. 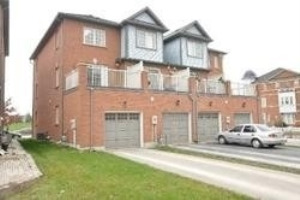 Professionally Finished Bsmt W/ Extra Bedroom & Additional Living Space. Perfect For A Growing Family !!! No Maintanence Fees !!! Stainless Steel Fridge, Stove, B/I D/W, Washer, Dryer, All Electrical Light Fixtures & Ceiling Fans, All Window Coverings (Excluding Draperies In Kitchen And Living Room). Broadloom Where Laid.